What’s the oldest living thing you can think of? A whale? The houseplant you’ve had since college? Scientists say that there are certain trees living today that may have been more than a century old when the first pyramids were built in Egypt. Thanks to extremely harsh growing conditions, Bristlecone pines are capable of living longer than just about any known organism on Earth. According to BluePlanetBiomes, the bristlecone pine only lives in scattered, arid mountain regions of six western states of America, but the oldest are found in the Ancient Bristlecone Pine Forest in the White Mountains of California. The trees tend to grow in isolated groves just below treeline where conditions are especially harsh. Bristlecone pines grow more rapidly in more “favorable” environments, but do not achieve their legendary age or fascinating twisted shapes at lower elevations. Cold temperatures, a short growing season, and high winds in its preferred habitat mean the bristlecone grows very slowly. This slow growth makes their wood very dense and resistant to insects, fungi, rot, and erosion. But some say that climate change creates an uncertain future for the ancient bristlecone. 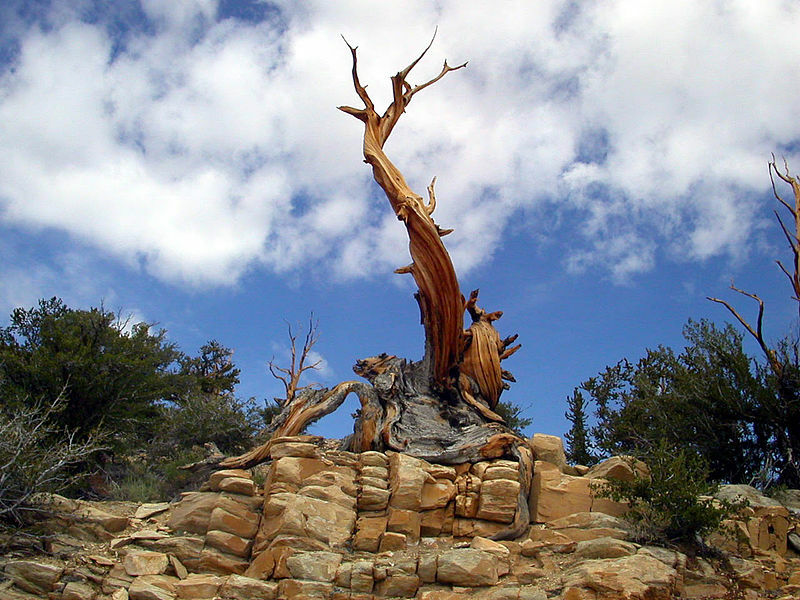 Scientists fear that under present climatic and environmental conditions the rate of regeneration may be insufficient to sustain the current bristlecone population. As such, the species have been placed on the International Union for Conservation of Nature (IUCN) Red List and are protected in a number of National Parks. 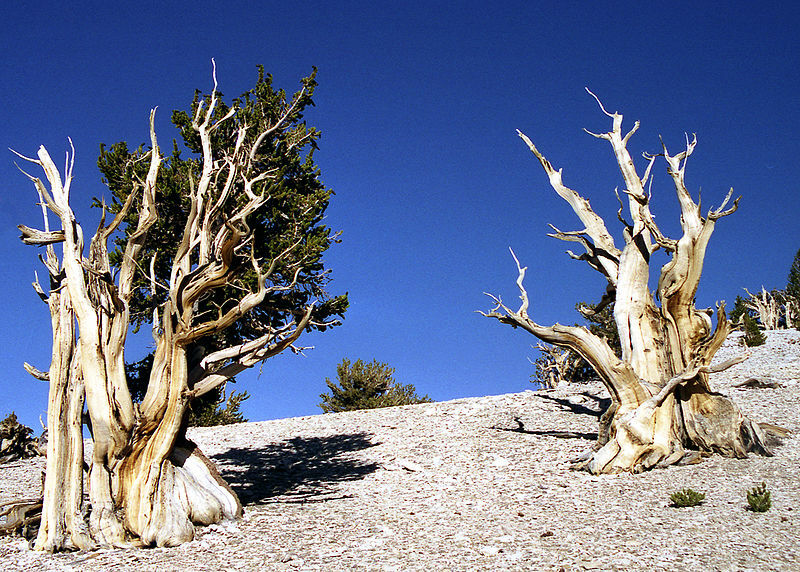 While bristlecone pines are the longest-living tree, scientists debate what is truly the oldest living thing. The creosote bush that grows in the Mojave Desert may be older. The cresote achieves its age by “cloning” new bushes from its root system.